There’s something about October that has me signing up for month-long projects all over the place. 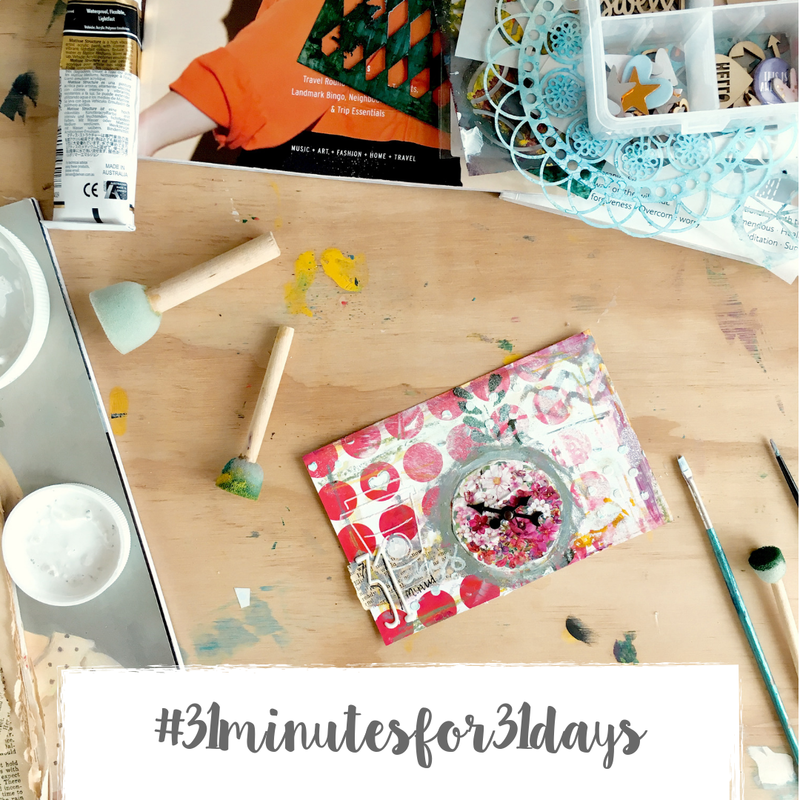 Along with blogtoberfest, I also generally participate in 31 Minutes For 31 Days, a mainly instagram based project focusing on completing 31 minutes of creative activity every day during October. I first came across it in 2015, and normally I just dedicate the month to WIP busting, but this year I am going to focus on a specific project. Earlier this year, we purchased a small lifestyle farm a short distance from town (I have shared a bit about it over on instagram, and also blogged it over on my lifestyle blog), and eventually we will build a house on it, leaving behind our house in town that we bought when we got engaged, and where we have lived since we married all the way back in 2004. This has been the house we brought our four babies home to, where we’ve raised them, where we’ve built our entire family memories. As excited as I am about our one-day new house, I also know it is going to be very hard and emotional to say goodbye to our beautiful home that contains our whole history. So, for this year’s 31 minutes project, I will be building a scrapbook of our home. Every day, I will take a photo around our place, and create a 6×6″ scrapbook layout with it, so at the end of the month, I have a photo album full of memories and a lovely keepsake of our first home to take with us into our new home. As always, I will be instagramming madly during the project! You can follow along on my @barefootcrafter account where I will be collecting all my project posts under the #barefoot31days hashtag, as well as follow the official project at #31minutesfor31days. I will also be sure to share updates here on the blog of my progress, and the finished album at the end of the month. Before I can do today’s page though, there’s a whole lot of long weekend catch up! A weekend at the farm means there’s multiple loads of washing to power through. Some spring cleaning and decluttering. We need to power through some school this morning before the kids head off to the movies with nanny, and I have a friend coming over to have her newborn photographed. I need to gather up my long weekend challenge projects to photograph as well, to wrap up my progress on those. Miss 7 is hanging out for a readathon in the hammock. The sun is shining, the air is fresh and warm, it’s a gorgeous spring day with plenty of crafty mojo flowing. Let’s see where it takes us. Happy Tuesday, friends! This is a brilliant idea! Sometimes I wish I was more creative back in the old days when we lived in a garishly decorated house (avocado coloured wall paint pink 80’s swishy curtains and brown carpets) no matter how ugly it was it was filled with love and young carefree memories and lazy summer afternoons drinking beer & watching the koalas! Oh that would have made for an awesome album!